Where it refers to the ‘choir’ this is Newport Philharmonic Choir. Personal data will be name, address, telephone number(s) and email address unless otherwise stated. We will only request and retain personal data which is needed to allow the choir to carry out its business. Personal data will be stored securely. Electronic data will be password protected. Hardcopy data, when retained by a nominated person at home, will be kept out of sight e.g. in a drawer, when it is not being used. The nominated person responsible for the data will ensure their home is secure when not occupied. The choir is a membership organisation. When a member joins, and pays their subscription, they provide their personal data to allow the choir to function efficiently. Members will be requested to inform the choir of any change to their personal data, to ensure it is accurate. When a member leaves the choir their personal data will be removed from the database of members. As former members of the choir their personal data will be archived, so that they can be informed of concerts and social events. If a former member asks to be ‘forgotten’, then their personal data will be removed from all databases, including the archive. Patrons likewise provide their personal data when they request to become patrons and pay their membership. 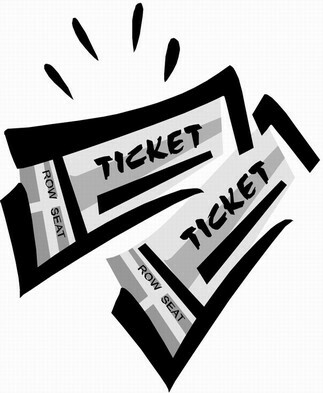 This is so that they can be sent tickets and informed of concerts and social events. Patrons will be reminded to inform the choir of any changes to the personal data in the Spring and Autumn Concert Programs. When a patron no longer pays their subscription or resigns as a patron their data will be removed from the database of patrons. Their data will be archived so that they can be informed of concerts and social events unless they ask to be ‘forgotten’. The choir holds the personal data of supporters so that they can be informed of concerts. Supporters request to be added to the database. The choir will initially contact all supporters to ensure that their personal data is accurate and they wish to remain as supporters. When they are notified of concerts they will be reminded to notify the choir of any change in their personal data, also if they wish to be removed from the database. The choir will appoint a data controller. They will be responsible for holding a record of where all personal data is stored both electronically and as hardcopies. That it is stored securely. That the data is regularly audited to ensure it is accurate. The persons who are allowed access to the data. Personal data will not be shared with anyone, without the permission of the person or with the permission of the data controller. If the data controller cannot be contacted the choir chair or secretary my authorise the sharing of data but must inform the data controller, when they are available. Choir members are asked, periodically to complete Gift Aid Forms. These contain the fact that a person pays tax. After the gift aid application process is completed the forms will only be retained for the period recommended by HMRC. Photographs will be taken at concerts, rehearsals and social events from time to time. These will be group shots used for publicity and for choir members. If an ex choir member asks to be forgotten and requests a photograph to be removed then, where it is practical, it will be removed. The data controller will decide if it should be removed. It will not be practical to search all group photographs held by the choir to locate an individual. The secretary will have a list of ‘contacts’ that are needed to allow the choir to carry out its business. This should be periodically weeded to remove any that are no longer required.